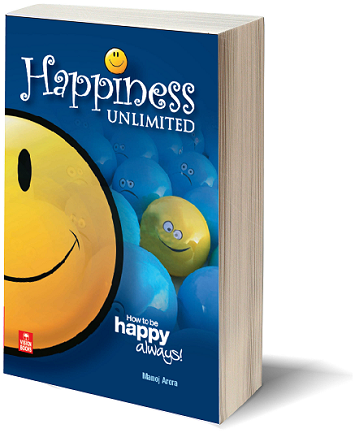 Happiness Unlimited...: Your wait is over - Now, grab your happiness online. Your wait is over - Now, grab your happiness online. Now, Grab your happiness online !! "Happiness Unlimited" - the book - is already creating flutters !! There are limited copies that have been made available online at Flip-kart, Amazon & U-Read. Grab it now !! After the amazing journey from the rat race to financial freedom where we have already impacted thousands of lives positively, this one is even better. This beautiful journey towards a happier life will open your mind, help you adopt simple practices in your daily life so that you can prevent the leakage of the most precious commodity that you strive for - your own happiness !! Publishers are still trying to cope up with the sudden demand for this life transforming book. This book comes packed with knowledge, reasoning, inspiration, motivation, daily experiences of a common man and 24 Destiny Cards for your everyday practice. Above all, it comes with a commitment from me - that you can connect with me, take an appointment, talk to me - till your life is elevated. Come, let us elevate the society we live in. Start with grabbing a copy from Flipkart or Amazon (for Indian readers) or URead(for international readers). Then, connect with me, and we will walk this awesome journey together ! !